Cape Coral resident S'iva Goodman hoists a sign outside of the Cape Coral Yacht Club beside her 11-year-old daughter, Shelby, who is also carrying a sign protesting the U.S. Army Corps of Engineers and symbolically wearing a surgical mask. So, the city invited the Army Corps of Engineers to come give a presentation at the Cape Coral Yacht Club Tuesday – where the only thing stronger than the stench of the water were the voices of the outraged citizens. Tim Thompson carried a sign that read, “Don’t slime us." Algae covers the water surface of a Cape Coral canal behind resident Joanne Kreise's home. Thompson has lived in Southwest Florida for 31 years, but in spite of the handmade sign in his hands, he said he didn't consider himself an activist. 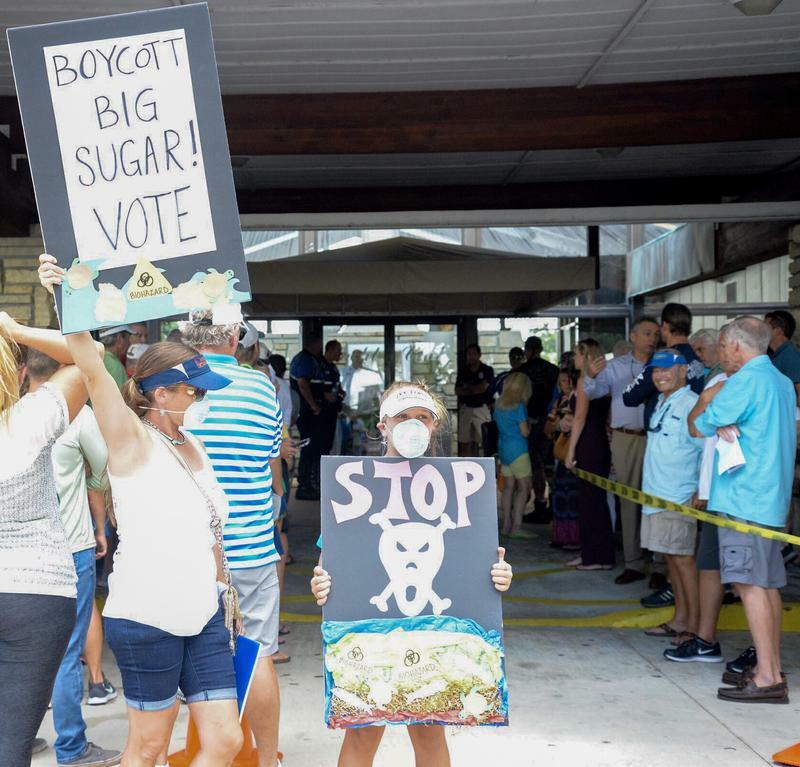 Many of the couple hundred people standing outside of the yacht club said the same – though the meeting inside was at its 500-person capacity, and outside, it was smelly, sticky and starting to storm. S’iva Goodman and her 11-year-old daughter, Shelby, were both symbolically wearing surgical masks. Goodman said, rain or shine, they were sticking it out until the end because she had some words for the Army Corps of Engineers. 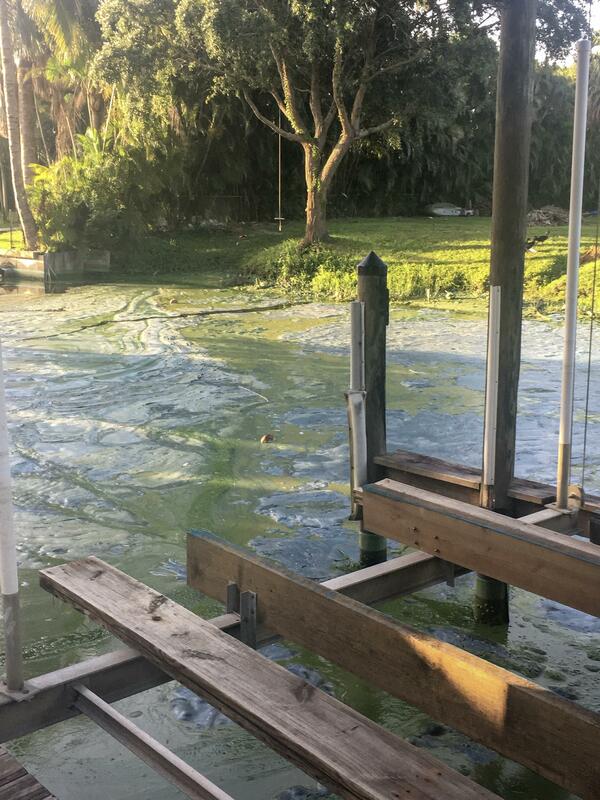 Goodman used to live in Stuart, which regularly experiences similar algae blooms from the releases sent down the St. Lucie River to the east coast of the state. Turned out, the outcome of the meeting wouldn’t bring relief to either coast any time soon. The Army Corps of Engineers simply restated a stance familiar to Florida’s coastal communities: there’s nowhere else the water can go but east and west.